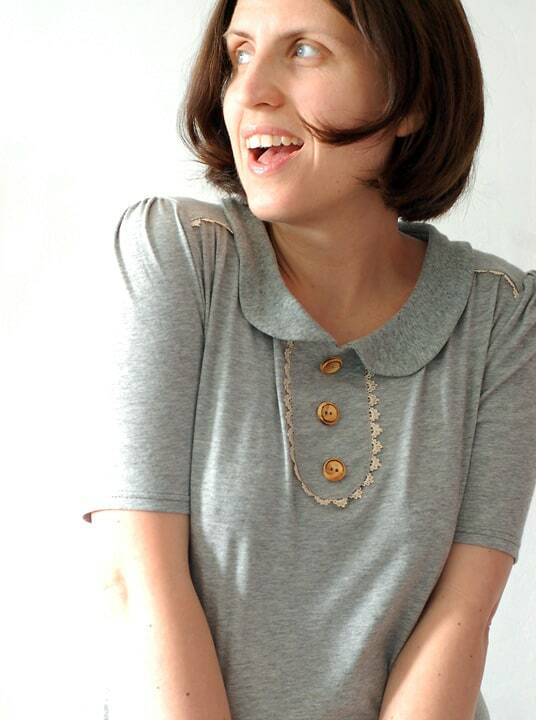 I often air my sewing woes on this blog. Because not everything is fine and dandy in the sewing world over here at The Last Stitch. 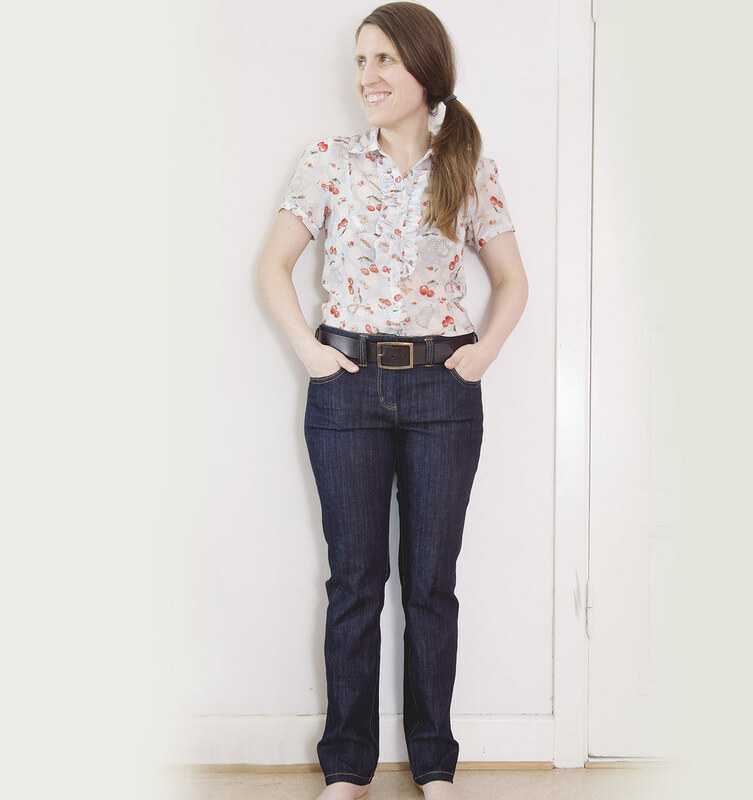 But with my new Anita jeans from Burdastyle I can’t come up with a single complaint about my experience. They turned out even better than I had hoped for and I love how they fit. This is exactly how I want my basic jeans to look like. Dark, fitted, slightly vintage feel and not too much bleach and otherwise distressed fabric . I went down half a size from when I last made these and I’m glad I did. These pair hugs the bum better and hopefully they won’t sag too much with wear. As I talked about in my video blog, I always get insane amounts of fabric sagging in the back when wearing RTW trousers. I sometimes alter my trouser patterns to minimize the sag, but since I knew from my previous Anita pair that excess fabric in the back wasn’t a huge issue, I skipped that step with this pattern,. 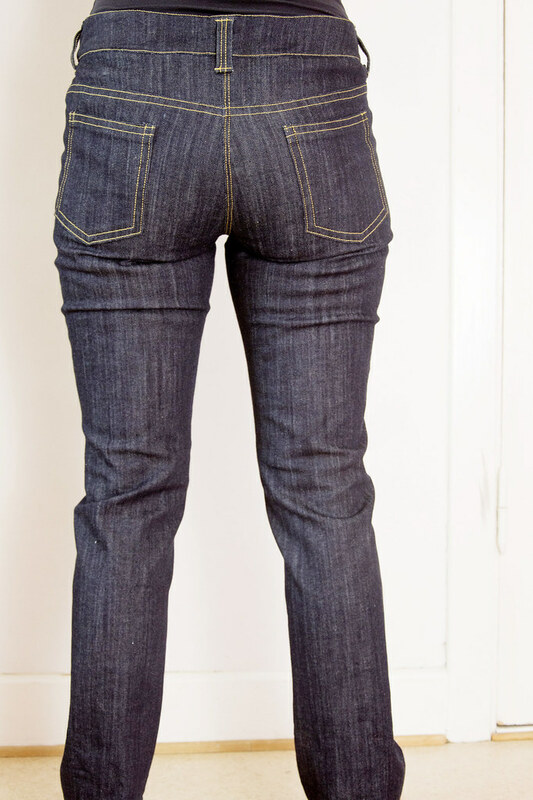 Of course there are some sagging going on here, but waaay less than with RTW jeans. I love doing topstitching, it’s definitely one of my favorite thing to do with a sewing machine. By the way, when I said I had zero of hiccups, that is not entirely true as I did put the jeans fly on the wrong side (right instead of left). But I refuse to obsess about that detail! I prefer to topstitch the inside leg seam rather than the outer seam. I like how it keeps the seam in place and prevents chafing. Can you tell how happy I’m about these new jeans! I think I need to make another pair in the future, but in black denim instead. You are so accurate in your top stitching and fitting! An inspiration. 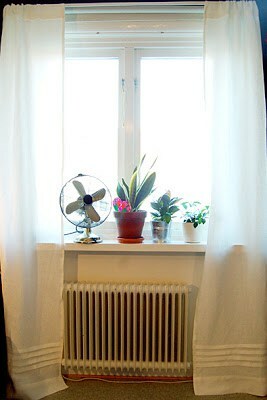 I love reading your blog and tutorials. I did hear someone say that doing the felled seam on the inside leg and a flat regular seam on the out seam is more slimming. Your jeans look beautiful. Thank you for your kind words! Interesting about a felled seam on the inside being more slimming. I haven´t thought about that, but I definitely think details like that can make a difference. 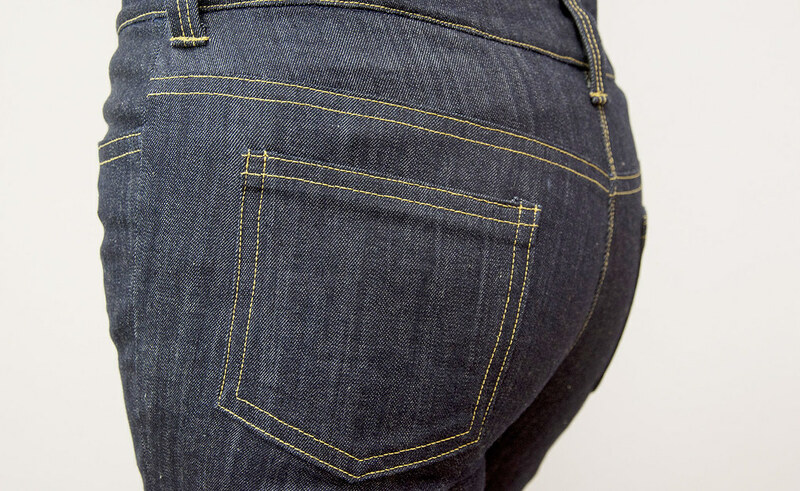 Same with back pocket size and placement, they can really alter the way the tush looks in the jeans. 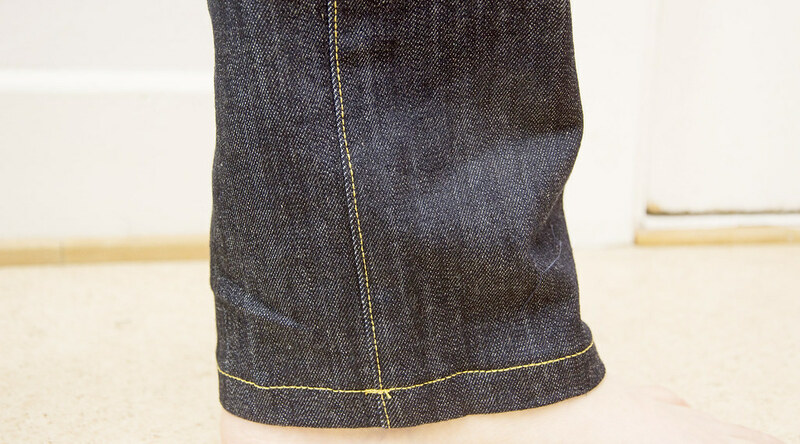 Wrangler jeans used to fell the inside leg seam (it has been decades since I worked at their headquarters) not because it looks more slimming, but because it wears better — legs rub together when you walk, at least for most people. A felled seam offers four-layers-of-fabric-rubbing-against-four-layers-of-fabric that have to wear out before you get a hole. Lin, when I read your comment about working at Wrangler I became to total fan girl of you, because I LOVE Wrangler jeans and take so much inspiration from that brand. The inner stitching is something I learned from them and also from Lee jeans (which I think is/was the same company, at least here in Europe). Very grateful for your inside info! Yes, Blue Bell Inc. had the Wrangler brand from the 1930s until sometime in the mid-1980s, when Vanity Fair Corp. bought them. Wrangler is still headquartered in my home town, Greensboro, NC. I worked as a clerk in the print advertising department, which meant that we often did quality comparisons against our big competitor Lee jeans to help our sales staff move product. V. amusing that now Lee Jeans "owns" Wrangler. One of our major suppliers of denim was Cone Mills, also a hometown brand. 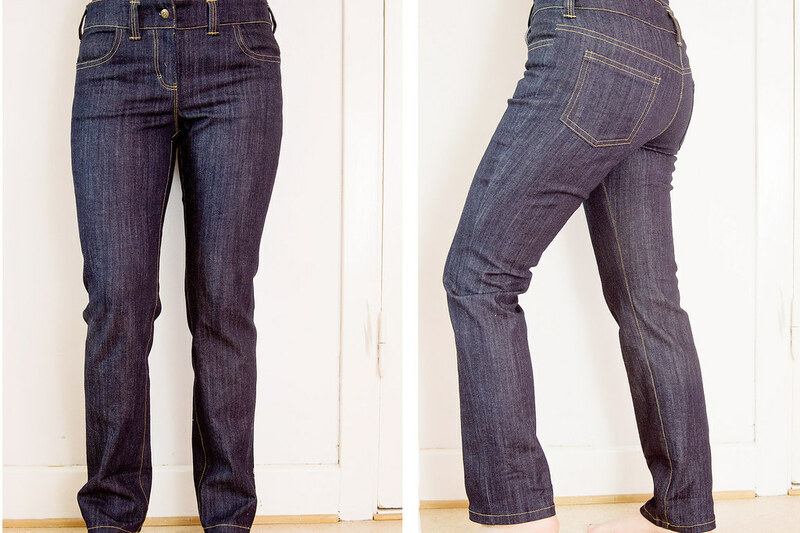 Cone Mills is still in existence, still making much of the denim used in the world. 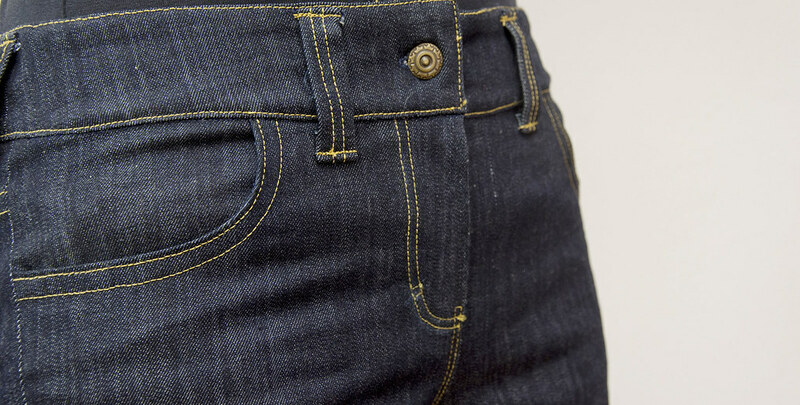 Wrangler still uses a special broken-twill weave, which helps keep jeans legs from twisting as they are worn and washed. Used to be a good selling point against Levi and Lee. Thank you! 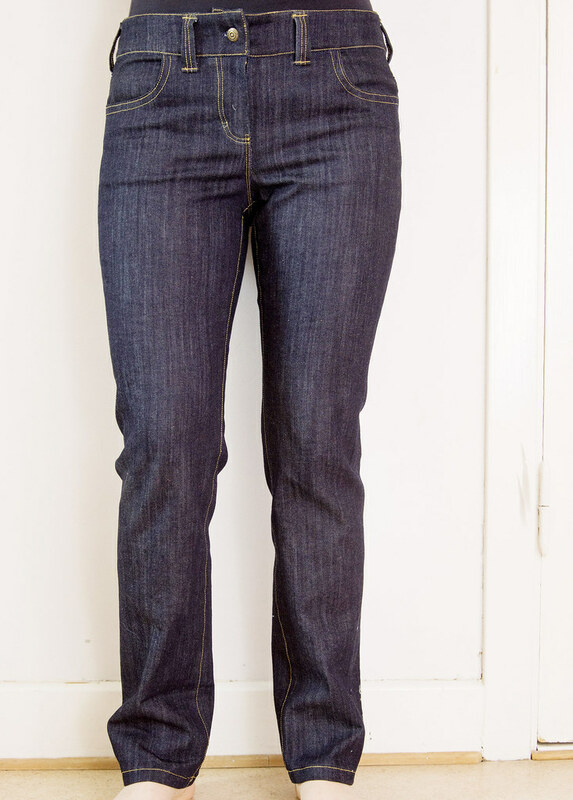 I'm definitely curious about the Jalie stretch pants as they seem to be the most universally best rated pattern when it comes to fitted jeans.